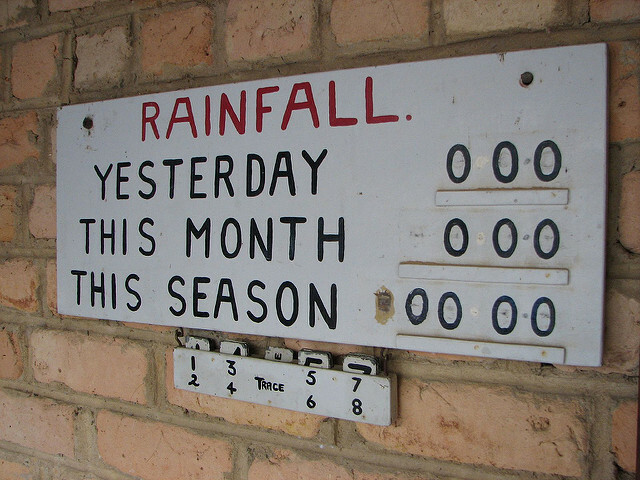 Remotely sensed rainfall is increasingly being used to manage climate-related risk in gauge sparse regions. Applications based on such data must make maximal use of the skill of the methodology in order to avoid doing harm by providing misleading information. This is especially challenging in regions, such as Africa, which lack gauge data for validation. In this study, we show how calibrated ensembles of equally likely rainfall can be used to infer uncertainty in remotely sensed rainfall estimates, and subsequently in the assessment of drought. We illustrate the methodology through a case study of weather index insurance (WII) in Zambia. Unlike traditional insurance, which compensates proven agricultural losses, WII pays out in the event that a weather index is breached. As remotely sensed rainfall is used to extend WII schemes to large numbers of farmers, it is crucial to ensure that the indices being insured are skillful representations of local environmental conditions. In our study, we drive a land surface model with rainfall ensembles, in order to demonstrate how aggregation of rainfall estimates in space and time results in a clearer link with soil moisture, and hence a truer representation of agricultural drought. Although our study focuses on agricultural insurance, the methodological principles for application design are widely applicable in Africa and elsewhere.